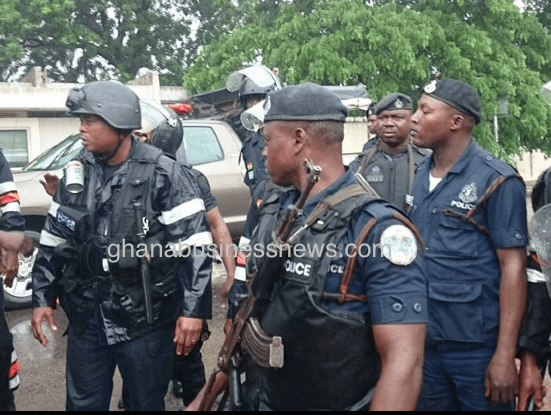 Police Superintendent Asare Bediako, the Sekyere East District Commander, has appealed to the people in the area to do away with the perceived police mistrust and continue providing the police with credible information that would assist in the prevention of crime in the area. He said the notion that the police officer was not friendly and could not be trusted when given vital information on criminals, was not true and should be discarded. Speaking to the Ghana News Agency in an interview at Effiduase, Superintendent Bediako made it clear that, the police service needed the support of the public to succeed in fighting crime in society. He said the police required information from the people, who lived in the communities with the criminals to enable the police to identify and arrest them. Superintendent Bediako alleged that often it was the same informants, who disclosed details to their relatives and friends after reporting to the police. These relatives or friends betray the informants either consciously or unconsciously by making public such pieces of information, which are supposed to be discreet. Superintendent Bediako urged the public to see the police as a friend and collaborate effectively with them to fight crime in the communities. Touching on the crime situation in the District over the past year, he said due to intensified police patrols in the town and the close engagement with the public, criminal activities had drastically reduced. Superintendent Bediako said the growing criminal activities, especially armed robbery, which used to be high on the Agona–Asamang–Effuduase stretch of the road, had been brought under control due to increased police patrols. Additionally, the formation of Neighbourhood Watch Committees in many communities in the District had also helped to curb criminal activities in that District. Superintendent Bediako appealed to the media to help sensitize the public to cooperate effectively with the police to fight crime in their communities. The post Do away with mistrust and provide information – Police appeared first on Ghana Business News.